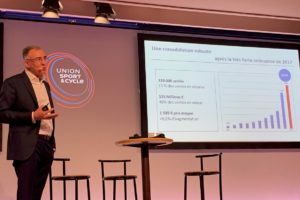 PARIS, France – The French bicycle retail channel is quickly changing, taking advantage of the rising popularity of the IBD. With the rising market share of dealers, the popularity of retail organizations is also growing. Next to that retail organizations show a growing interest in the French market resulting, for example, in the take-over of the Veloland format by ZEG last January. These larger retail networks offer marketing, financial, distribution, technology, and other advantages to current shop owners and prospective ones, who are no longer on their own. For a retailer however, it is not always easy to choose the right business partner. Generally, the retailer’s financial position, ambitions, and geographical position will direct him towards a particular organization. Here’s an overview of the current French retail organizations. Three locations out of the 500 stores are fully owned by Cycleurope – Paris, Lyon and Bordeaux. The others remain independent and are linked to Cycleurope by a three or four year contract. The retailer doesn’t pay an entry fee, only for the services, shop lay-out, and concept design. This sum is repaid in three or four years, depending on the duration of the contract signed. “Each store benefits from our communication with the annual catalogue, a website dedicated to the network, and commercials on the radio,” says Bruno. 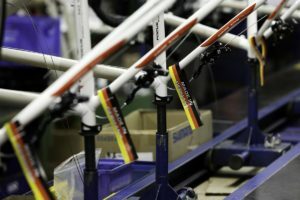 “In return, the store must sell the Cycleurope brands; Gitane, Bianchi and Puch as well as Spectra P&A although he is not limited to these brands. The stores of Velo & Oxygen vary in size between one hundred and five hundred square meters and are very different from each other." Veloland members have to spend 0.5% of their turnover in communication, making sure each shop takes advantage of joint efforts in communication, while maintaining their independence. According to Jean-Pierre Lacombe of the Veloland organization, some 69 stores remain under Veloland after the acquisition by ZEG. Both Denis Küster and Jean-Pierre Lacombe are convinced of Veloland’s strength in the market. “At Veloland the retailer can improve its profitability while offering attractive prices to the consumers. And the profits go into the pockets of members, not elsewhere. The only disadvantage is that the retailer must sell the brand preferred by ZEG and this lack of freedom may displease some retailers” says Jean-Pierre Lacombe. The international franchising organization Sport 2000 operates the Mondovélo franchise concept in France. All Mondovélo affiliated stores are shareholders of the central organization and use the central service organization of Sport 2000 in relation to central purchasing, information technology, planning and communication. 15 Mondovélo bike stores are now (a small) part of Sport 2000 France. Most of the other sports stores operating under the Sport 2000 flag in France also sell bikes and bike products. There are 8 Sport 2000 outlets that operate a Mondovélo shop-in-shop format. As bikes and bike products are a growing category at Sport 2000 France this international operating franchising organization is to open more dedicated bike stores in France under the Mondovélo format. Sport 2000 France operates 201 stores in almost all the French ski resorts, including 62 ski rental shops under the Skiway banner. The number of stores outside the mountains grew to 286, and an additional 14 doors have been added since the beginning of 2009, including 11 corporate stores directly owned by Sport 2000 France. Their number should reach 20 by the end of this year under the business plan worked out through its new institutional shareholder, Activa Capital, which acquired 37.4% of the shares in 2008. Sport 2000 France reported a 3.2% sales increase at retail level to € 598 million in 2008, in spite of a 0.5% decline in the French sporting goods market. Holland Bikes pays a lot of attention on product display. “It is essential for us to present the bike outside, on the sidewalk in front of the shop,” says Vos. “It is not necessary to sell Gazelle, Batavus and Koga only. The retailer is free to choose other brands. However, for the character of the shop the retailer should be aware that he is offering Dutch bicycles for ‘daily use’ and not city bikes, as often wrongly thought in France.” Holland Bikes has ten stores in France at the moment of which only four are fully owned by Holland Bikes. Started four years ago in Toulouse, Cyclable is a small retail organization run by Boris Wahl. The shops, in Dijon, Lyon, and Paris, among others, operate under their own names – such as Velovia and Velonaute, while the organization supports the independent stores. The main contribution of Cyclable to the affiliated stores consists of shared conditions of purchase. 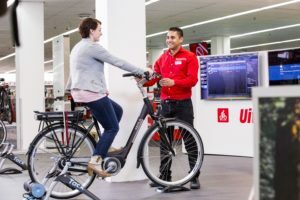 Each store sells at least urban bicycles, child bicycles, folding bikes, and electric bikes, but can choose their own product lines. The latest addition to the range of retail organizations in France is Mobicity, a store format completely dedicated to e-mobility. 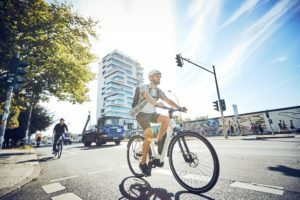 “Mobicity is a concept store with an average surface, and a focus on marketing, rental, and maintenance of electric two-wheel vehicles – such as e-Bikes and e-Scooters”, says co-founder Grégory Trebaol. “This concept is a result of a pilot store opened two years ago in Paris. 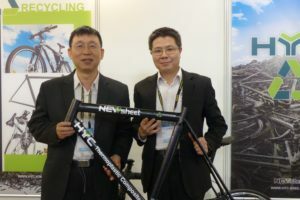 Next to the pilot shop two more locations will be opened before the end of this year.” At the Paris Cycle Show (taking place from 2 – 5 October, 2009) Grégory Trebaol will announce the details about this concept regarding the name, licensing, and franchising.